Laureus recently hosted the seventh annual Youth Empowerment through Sport (YES) programme Educational Training Camp at The Team House in Noordhoek, Cape Town from 8 to 12 February 2018. 20 young leaders from various Laureus-funded projects participated in the five-day training workshop residential, where youngsters from across the country were provided with essential tools to assist with making a positive change in their lives and local communities. The list of change agents involved in motivational component of the camp included Laureus ambassador and Banyana Banyana interim coach, Desiree Ellisas well as members from the Laureus SA Foundation Board of Trustees and YES programme funders Mercedes-Benz. Some of the themes explored at the camp included: Personal Development and Goal setting, the importance of their Personal Brand as well as Sport for Development to mention a few. ‘What a productive week! We are really excited about this group of young leaders. They have shown immense potential and passion as they took to heart every aspect of the training camp. It is important for young people to view their past challenges and current battles as stepping stones in achieving their goals. We would like to wish them well and we are certain that they will take the knowledge gained over the last few days and apply it not only for their own personal development but to further encourage their peers to do the same.”, says Jill Benting, Youth Empowerment through Sport (YES) Programme Manager. Launched in 2012, YES focuses on equipping the youth with the technical, vocational and e life skills needed to develop sustainable livelihoods. The programme targets school leavers, ages 18 to 25 with particular attention given to young people who are passionate about sport and the upliftment of local communities. The overriding goal of the programme is to create a critical mass of youth leaders who have the skills to use sport to champion social programmes in their communities with the aim to progress into further education and employment. YES is based on the belief that young people are the greatest force to bring about social change in other young people and that the youth are potential champions for positive social change. Resulting in the youth being able to inspire and motivate their peers to become positive role models. 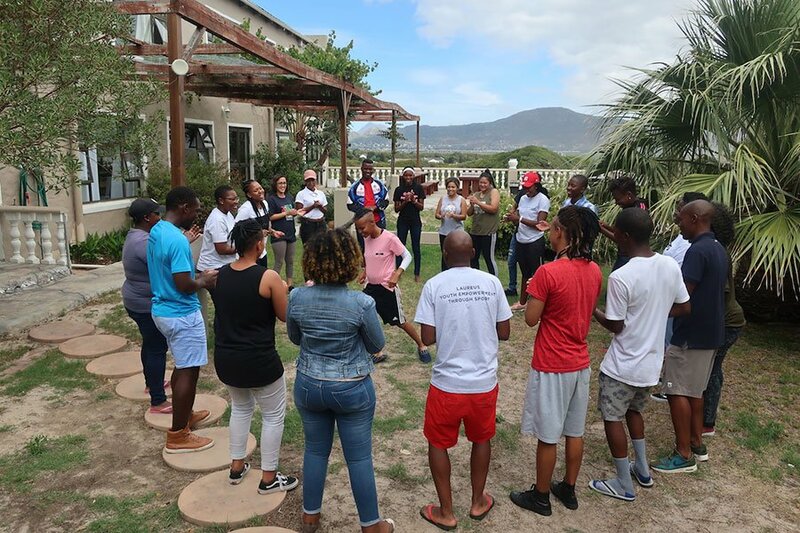 The training camp hosted in Noordhoek forms part of the first phase of the 2018 YES programme. The young leaders will now go back to their communities and seek to do good, using the knowledge and tools gained at the training camp, to help tackle some of the most pressing issues facing their communities. The group will meet again later in the year to complete the second phase of the programme before finally graduating from the programme by the end of 2018. Mabopane Junior Golf Projects is a Golf development program which provides disadvantaged children with tools, information and knowledge to learn important life skills and core values through Golf.